Medical transcription is key in medical practice. Accurate and timely transcriptions are an absolute must. Physicians need to be certain that their vocal dictations will be accurately transcribed into well-polished, written documents. It doesn’t matter if the organization is a start-up or owned by solo proprietor or a large one, the importance and value of time saved and resources preserved remains the same. And even if you have an assistant or administrative professional dedicated to taking meticulous notes during meetings, conference calls, or presentations, you know these may not be reliable or actionable. In order to ensure your organization’s recorded materials are readable, searchable, and easily accessible to key stakeholders, you’ll want to consider bringing on a professional transcription service to handle the timely, accurate transcriptions of these materials as-needed. With many transcription providers employing overseas transcriptionists, turnaround times can be achieved within 24 hours of receipt. When it comes to medical transcription services, speed is the name of the game. You definitely want accuracy, but you also need a team that can handle the workload in a timely manner. The good news is, medical transcription companies specialize in completing their work in a very timely manner. This is because they are genuine specialists: they focus on doing one thing and doing it very well. And we can’t ignore that outsourcing makes things speedier on your end as well. Once recorded materials are received, transcriptionists work with diligence and fervor, checking for accuracy and HIPAA compliance after the initial recording is put to paper. Aside from the overall costs of equipment, salary, HR, benefits, and maintenance and training, the restrictions around working hours can put your crucial materials back between 1-3 business days depending on workload. Suddenly, you have fewer people and teams that you have to personally manage, allowing you to focus on other aspects of the company that might need your expertise. Medical transcriptionists work with physicians and surgeons in multiple specialties. They work with pharmacists, therapists, technicians, nurses, dietitians, social workers, psychologists, and other medical personnel. All of these healthcare providers rely on information that is received, documented, and disseminated by the medical transcriptionist. When outsourcing medical transcription, it is particularly important to find a company with a proven track record. Medical transcription outsourcing to an experienced and certified transcription company is one of the lowest risks your business will ever take. Not all medical transcription companies are equal when it comes to security. It is very important to partner with a company that can guarantee the security of your patient information. A HIPAA-certified transcription company can ensure your sensitive materials stay safe, secure, and to specific organizational requirements for data retention and storage. Furthermore, the accuracy and precision required and expected by medical professionals is intact with a qualified third-party provider, ensuring your recorded materials are transcribed with care and accuracy. A qualified and certified medical transcription company in many cases has been in the business longer than many transcription departments at various medical offices. Having a transcription partner that can guarantee precision, timeliness, and discretion is a major advantage over a full-time administrative assistant handling an onslaught of incoming transcription jobs. Plus, these firms are able to work with extreme flexibility, providing transcription services as needed, helping your staff deal with a sudden influx or major project that requires more man hours than your organization may be able to handle. Hiring a third-party professional transcription service reduces the stress placed on administrative professionals or in-house transcriptionists who may not be as qualified as a dedicated professional working for a larger firm. Previously, every new addition to your transcription team needed to be vetted, interviewed, given the appropriate paperwork, and so on. Even ignoring the sheer cost of hiring multiple salaried transcribers, the paperwork alone is a huge headache. In-house medical transcription can be a laborious, budget-draining process that can leave healthcare management in a serious bind. When it comes to medical transcription outsourcing though, you get all the benefits of having a team of specialists without the annoyances of filling out a team’s worth of paperwork. This streamlines HR as much as it streamlines other aspects of your business, allowing everyone to focus on other problems that need solutions. On top of the cost-saving aspects of a third-party medical transcription service, the level of infrastructure, upkeep, and maintenance involved in maintaining a comparable full-time position working through your organization’s transcription needs is substantial. Reducing the costs of Human Resources hiring and background research processes, IT and infrastructure costs, and training and maintaining an in-house transcriptionist can send your overall operating costs through the roof. With a dedicated third-party transcription provider, the benefits outweigh the risks. Cheaper, faster, and more accurate, professional transcription services offer an attractive alternative to an in-house employee, regardless of convenience or skill level. You can outsource your medical transcription services at a much more affordable rate than hiring an in-house transcriptionist. By taking advantage of an outsourced medical transcription service, you’ll effectively only pay for the transcripts being produced, and not for any of the extraneous costs that come with an in-house hire. Additionally, management will be more free to concentrate on more important priorities and leave the transcription specifics to their medical transcription partner. Viaante is a HIPAA compliant Healthcare Service Provider offering quality and customized services, which helps the healthcare firms in improving business process efficiencies, deliver superior customer service experience and boost their financial performance. Viaante has years of experience and expertise in delivering accurate, high quality, cost-efficient and streamlined BPO services that boost up the performance of the organization. 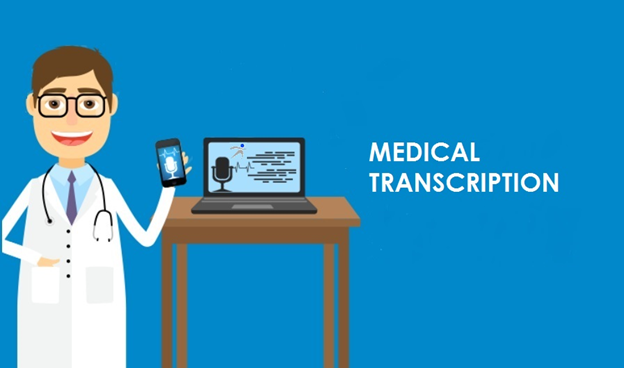 For more information about transcription services for your medical or healthcare organization, contact Viaante Business Solutions – Your Ideal Partner for Medical Transcription Support.